Our goal is to install ownCloud 10 on the Raspberry pi with Raspbian Stretch installed. We are not just installing ownCloud but also mounting an external drive for lager capacity of data storage and to be able to access it from anywhere in the world with internet access. This tutorial assumes that you have a fully functional Raspberry pi-2 or 3 with Raspbian installed and a 8 GB Micro SD card Minimum!. If you haven’t installed Raspbian then check out my guide on how to install Raspbian via NOOBS. If you don’t have a Raspberry PI I would personally recommend buying the Raspberry pi-3 kit with a 32 GB Micro SD card so that you don’t have to mount an external drive. unless you want to store more than 32GB of data. Then Finish, and auto reboot. Upon re-boot you would need to update the RPI and its packages. Now we need to install and configure LAMP Server. 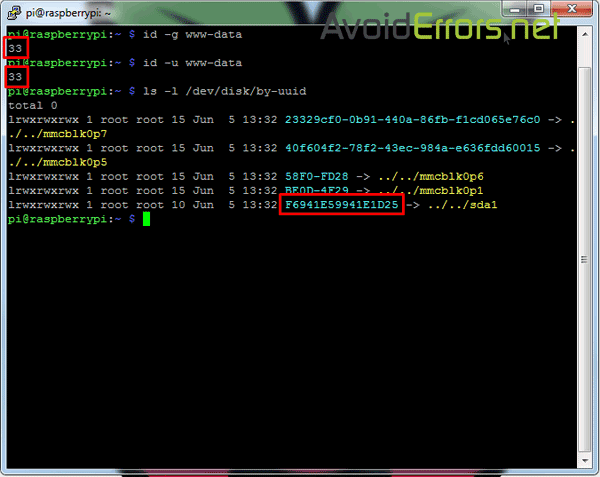 Open Terminal or simply ssh to the Raspberry pi. If you’re mounting and external hard drive for additional storage capacity skip this step and continue to Mounting and Setting up an external hard drive underneath. 9. Now add your drive into the fstab file so it’ll boot with the proper permissions. 10. Add the following line to the bottom of the file, updating uid, guid and the UUID with the values we got above. (It should all be a single line). Dont forget to replace the UUID number to yours in stead of the one you copied from here. The txt file you created should be there. 1. 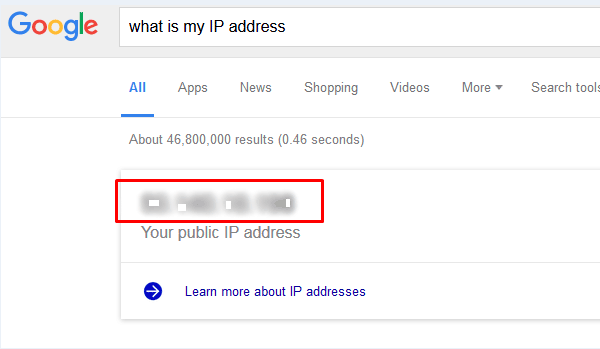 Open your browser and enter the IP address provided, in my case is 192.168.1.140/owncloud you’ll be directed to your ownCloud storage server. 2. You should be presented with a simple setup screen, Here enter a username and password to create an admin account. 3. Click on Storage & database dropdown and enter your external hard drive directory: /media/ownclouddrive (Skip this if you didn’t setup an external drive). 5. Click on ‘Finish Setup’ button. That’s it. We’re good to go. Owncloud 10 installed on Raspbian Stretch is now ready for use. Here is an example of the completed config.txt file. Once done save and exit the the config.php. 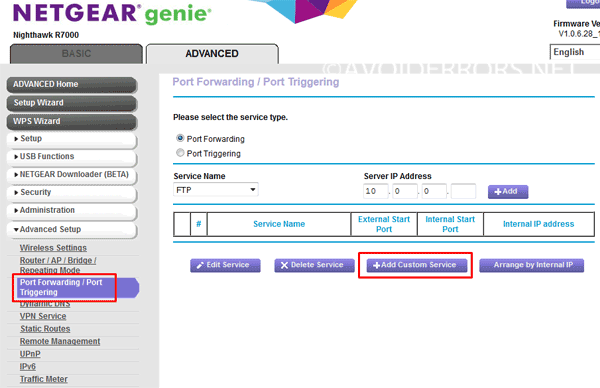 Port forward SSL port 443 to the Raspberry pi internal IP (LAN IP) address and save settings. Miguel, Thank you for the easy setup. I do have one question. Can you add external storage after install. Thnaks you for the very easy setup video. I do have one question. Can you configure /add an external drive if you have setup to use internal storage? How can I acces anywhere in the world with internet access.. I am totally indebted to you for the fact that, with your help, I have owncloud running beautifully on my Raspberry Pi 3, but I have one last question. I set everything up with a small USB stick, that I had laying around, and all is good, I want to purchase a powered external hard-drive but wanted to know if is possible to keep the USB stick and add the (yet to be bought) HDD as well? would I need to run the whole mounting a directory process then add the UUID number to fstab? or will this be problematic… and would it be best to simply remove the USB stick and start again with the (new) HHD? Many thanks mate, you’re the best. Hi Kieran, yes, is possible to keep the USB stick and add the (yet to be bought) HDD as well. yes, you would need to run the whole mounting a directory process then add the NEW UUID number to fstab. just add the same line immediately underneath with the new one. 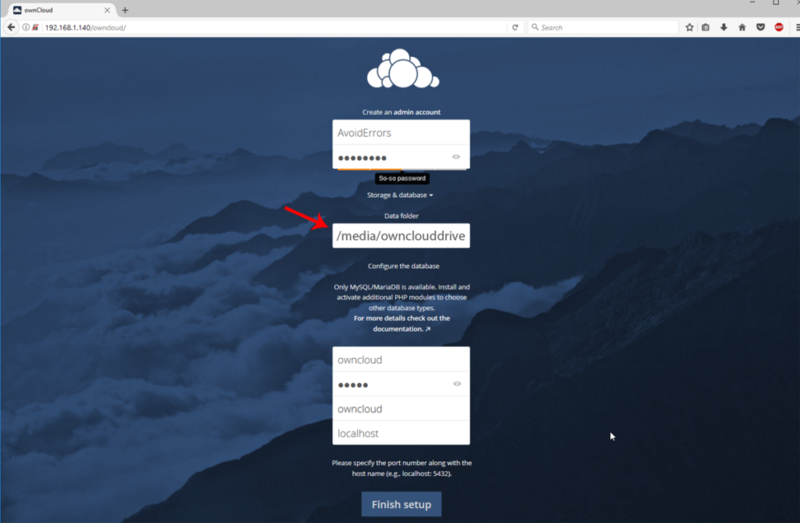 if you are planning on using the new HDD for owncloud data then you would need to move the owncloud files to the new directory once mounted. did you set up the password to be yes or 12345 as specified in the video? I changed the pass in the two code lines. How can i view the database created? I removed the database and create a new one. Creating the new database without any problem, but when i went to create the user with the following command “”create user owncloud@localhost identified by ‘12345’;””, the program returned an error. I think that i will do all the steps again using an external HHD. I wil post if a do it properly. I did it again, and it works. 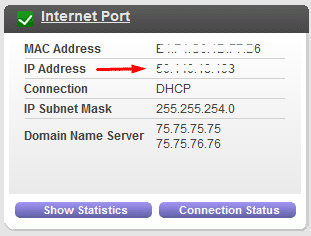 I understand that I must allow my WAN IP address to access owncloud from anywhere in the world, however from time to time when I reboot my modem and router I get a different IP Address. Is there any other way to access it, or should I change configuration everytime this happens? Hi Miguel, sorry but I think I was not clear enough, I am talking about the IP provided by my ISP, if there is a modem reboot my ISP sometimes provide a different value for IP. Is there any easy way to work on that not having to change it on owncloud configuration everytime? First: thanks for this great tutorial, Miguel! I just wanted to second Luiz’ question – I wondered how to do this, too. Setting up a dynamic DNS solution at afraid.org is rather simple, but I wonder whether simply adding the dynamic dns address (myaddress.mooo.com) would be sufficient for the owncloud config file. If we want create multiple users, how do we process ? create an other user in the mysql database ? Can you please help me with this? Can I somehow delete all files and start over again or reset the all settings of owncloud and MySQL? 2. before you configure apache web server enter sudo su and continue on. Everything went well except im trying to do something a bit deffernt and need your HELP. I want to also run ownCloud on this same Pi. I dont know how to resolve this conflict. im a linux n00b. Ive been talking on the octopi forum, but they’re not familiar with owncloud. Hi sky, so to make sure you enter: http://192.168.1.100/owncloud it works fine but after few seconds the same http://192.168.1.100/owncloud takes you to octopi print server correct? if i reboot the pi http://192.168.1.100/owncloud will load, but after a very short time after startup http://192.168.1.243/owncloud/ will return not found. Then 192.168.1.100 (no forward slash) will go to the landing page for octopi, which seems fine for a while. That was just a typo. I got it working but what i did was probably unconventional, and still hoping for a proper solution. While this works fine locally. i imagine it may be problematic if i want to access remotely over SSL…? Not sure if you received my other reply so will type again. http://192.168.1.100 (no forward slash) will then load which is octoprint page. I suspect the haproxy thing is overriding the apache thing. By following this tutorial you are never going to get owncloud without “/owncloud” even if you just have owncloud installed on the pi. Hi Miguel! An many thanks for the instructions. Seems to work well. However, I got problems when setting up to owncloud admin account and storage folder. Got an error message “Can’t create or write into the data directory /media/ownclouddrive”. I’m using Seagate’s USB storage and was able to see the files there when typing sudo ls /media/ownclouddrive. i stuck on “.ocdata” file. it says file missing. i tried to re-permission using “sudo chown -R www-data:www-data /media/ownclouddrive” and “sudo chmod -R 775 /media/ownclouddrive” but no result. am i missing something? Hi you have commented in 2 different tutorials. Which one do you need help? Raspbian or Dietpie?